Trainer Robbie Griffiths is hoping Magnicity can earn a big pay day at Bendigo including bonuses. 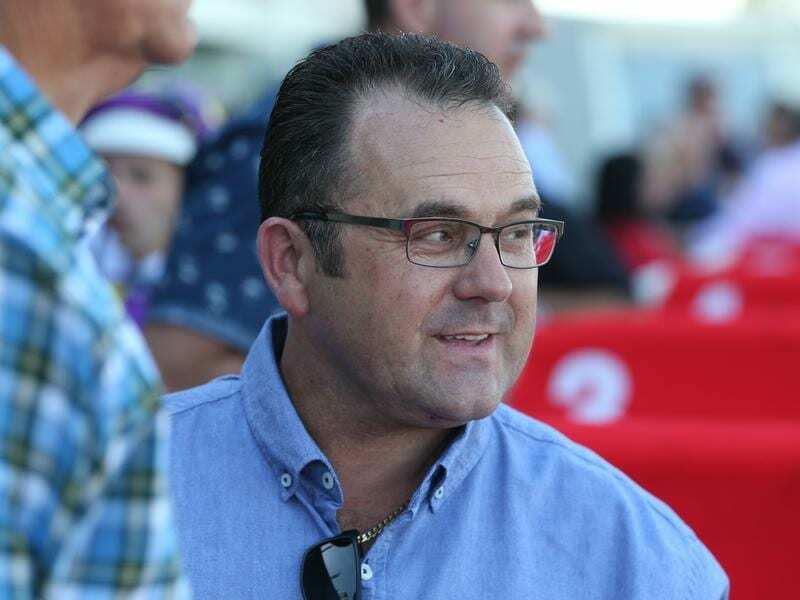 Trainer Robbie Griffiths is hoping a return to racing around a corner will land connections of Magnicity a big pay day at Bendigo. The two-year-old runs in the $250,000 VOBIS Gold Rush, a race for VOBIS qualified horses, that also carries an extra $30,000 in Super VOBIS bonuses. All acceptors in the 1000m-dash are running for the additional prize money. “I’m sure it’s going to be a crackerjack race, as they are when they’re worth a quarter-of-a-million dollars,” Griffiths said. That did not eventuate when she finished ninth to Microphone in the Talindert Stakes at Flemington 15 days later. Microphone subsequently went to Sydney to win the Skyline Stakes on March 2 before running second to stablemate Kiamichi in last week’s Golden Slipper at Rosehill. Griffiths said Magnicity had freshened up nicely for her tilt at Bendigo on Saturday. “She was good at The Valley then got a little bit lost down the straight and wasn’t as effective at Flemington,” Griffiths said. Providing the filly performs up to expectations, Griffiths is planning an assault on The Showdown, a $1 million race for VOBIS qualified horses at Caulfield on April 27. “She’s having a crack on Saturday and all going well we’ll head to the million dollar race at Caulfield,” Griffiths said.